A company with a long history of providing highest quality lighting solutions. It is the general lighting business recently carved out by trusted global brand OSRAM. 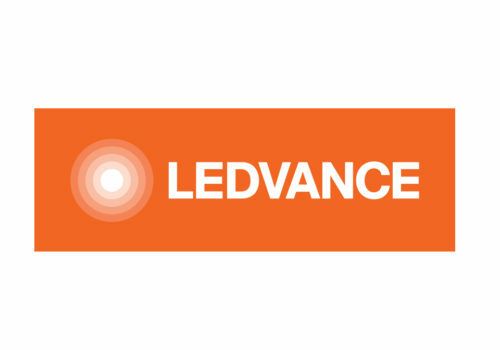 LEDVANCE is a world leader in lighting innovation with ground-breaking smart technologies that are transforming traditional general illumination. SaveMoneyCutCarbon has a joint partnership with LEDVANCE and both companies share the values of building trusted, long-term customer relationships with powerful distribution networks. We share a strong commitment to act responsibly towards business partners, customers, employees, society and the environment. The company is an offspring of OSRAM and continues to develop highest quality lighting products for all areas. Its lamps, luminaires and smart home products are designed for both professionals and consumers. Since moving from OSRAM, LEDVANCE has proved to be faster, more agile and more flexible as a stand-alone company and brand while building on a trusted, proven heritage. The company is active in more than 120 countries and has around 9,000 employees. The right lighting is essential to create an inviting atmosphere in the hotels and hospitality sector. LEDVANCE LED technology provides the highest quality lighting to please guests at all times, while reducing energy costs and carbon emissions. From dining to facilities, guest room to back-of-house, conference areas and meeting rooms, LEDVANCE products ensure that the right ambience and control is created for customers while providing optimum working conditions for staff. A well-lit office brings continual benefits for companies of all sizes and in all sectors, with higher productivity and better well-being for employees. In any company, a range of lighting settings and requirements need to be effectively managed, depending on architecture, usage and area size. 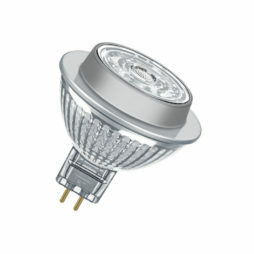 LEDVANCE LED solutions ensure maximum energy efficiency with lower costs and smaller carbon footprint. Minimising energy consumption is a top for the retail industry and all stores make big savings when moving to energy-efficient LED lighting. 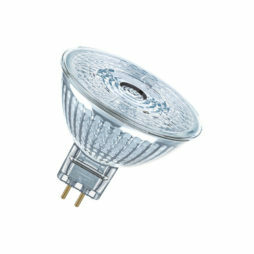 Along with easy savings, environmentally friendly LED will have a positive effect on CO2 emissions. The right lighting is essential in every retail environment and the balance of light and shadow has a stimulating effect. With LEDVANCE, products are seen in the best light, through true-colour general illumination, brilliant spotlights and effective light management. Healthcare environments demand the best quality lighting to provide optimum conditions for patients and the professionals treating them. The right light has a positive effect on the sense of well-being among patients while effective and appropriate lighting is beneficial for all who work in the broad sector, from GP surgeries to hospitals, retirement homes, nursing facilities and rehabilitation clinics. LEDVANCE products for the sector ensure optimum lighting conditions with substantially lower costs. Effective LED light reduces costs and can help productivity in every area of the industrial sector, whatever the need. Quality lighting from LEDVANCE can help to boost concentration and so reduce error for greater efficiency. It provides innovative lighting solutions that can improve quality, productivity and safety. Energy-efficient lighting provides the best conditions to optimise any warehousing operation. LEDVANCE solutions reduce electricity and maintenance costs while ensuring that the rapid pace of operations is not hampered by ineffective lighting. The sector benefits from sustainable lighting solutions that are long-lasting with minimum disruption to operations maintenance and replacement. Car parks and parking spaces need the most effective lighting to ensure users feel safe and confident in negotiating the spaces, avoiding accidents. LEDVANCE has a range of specific, energy-efficient solutions for operators of car parks and basement garages with sensor-controlled light management systems and controls to minimise operating costs. Well-designed outdoor lighting provides a better sense of safety and security for everyone in public spaces, such as bus stops or public meeting places, while the illumination of buildings enhances the area through accent and background effects. 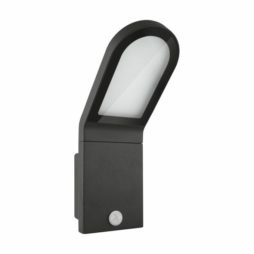 LEDVANCE offers versatile, energy-efficient lighting solutions for all outdoor settings. LEDVANCE is a leading innovator and driver of change in lighting. Smart LED lighting is revolutionising the home and the company’s SMART+ products are at the forefront of this exciting development. Users can combine with smart lighting apps that communicate wirelessly with ZigBee, which covers all major systems to control individual, automated sequences for indoor and outdoor. LEDVANCE leads in the development of all forms of lighting, building on the long history of OSRAM, which has been as the forefront of the industry for more than 100 years. ‘Advancing Light’ is central to its global mission. It provides solutions under both the OSRAM brand name and the LEDVANCE range. SMART+ features voice control via Amazon Echo Plus or Apple HomeKit, and remote control through mobile devices or portable switches. You can even integrate existing luminaires. LEDVANCE is one of the first companies to offer smart lighting products with the latest Bluetooth mesh technology. This technology extends the signal range to up to 300 metres which means people can set up an entire smart-home system as well as connect Bluetooth mesh-enabled devices like thermostats and language assistants. LED lighting also responds more quickly to the changes people make on their smartphones. We have chosen to work with LEDVANCE because it is a trusted, customer-centred brand and innovator in the sector with a successful history stretching back more than a century in the lighting industry. It is taking forward the globally respected OSRAM legacy while providing new and smart solutions for business and domestic customers. LEDVANCE focuses on the customer, providing highest quality products and peace of mind with comprehensive warranties. LEDVANCE LED luminaires – The standard. Redefined.